EVERY time Accession has raced he's improved significantly and he will need to again in Saturday's inaugural $2m Inglis Millennium (1200m) at Warwick Farm after luck was against him at Tuesday's barrier draw. The Chris Waller-trained Brazen Beau colt will have to do it from barrier 14 in the 15-horse field but his jockey Hugh Bowman was relaxed as usual about the task at hand. 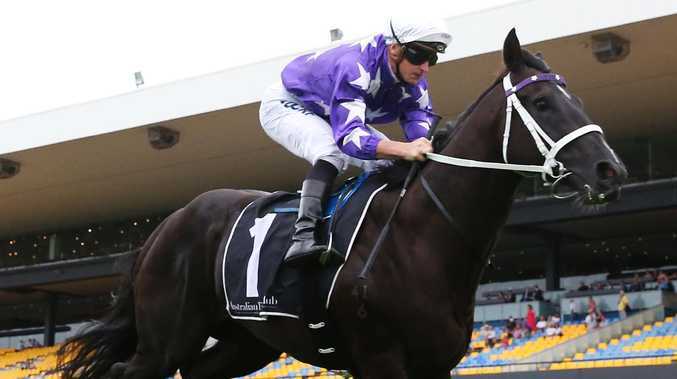 "It's better than a wide draw at Rosehill because of the shape of the racecourse, but like any race you just need a bit of luck in running at some stage," Bowman said. "We're confident this horse will run very well. He's gone on since his last race and he's very impressive, so we're excited about his prospects." Bowman rode Accession to victory two starts ago at Randwick but had to watch as James McDonald piloted him to his best win last start. He strode away that day to beat Avon River by 4½ lengths and the horse that ran third, Giselle Anne, was less than a length off Amercement in the Group 3 Widden Stakes last Saturday at Rosehill. Bowman said watching him win last start was enjoyable. "I was impressed with him," he said. "You couldn't help but be impressed. 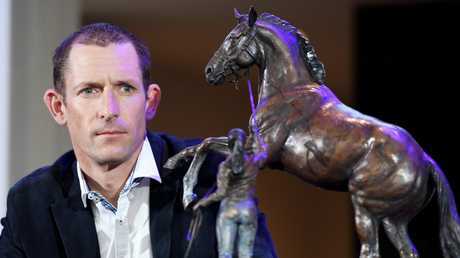 "I thought it was a much better performance than when I won on him a start earlier. At Randwick, he was inclined to switch off a bit when he got to the front and he stargazed. "It looked to me that wasn't the case when James rode him." On paper, Accession's main rival is Dawn Passage. He was very impressive when bolting in on debut for Gai Waterhouse and Adrian Bott. He drew much better in gate seven and Blake Shinn rides him again. The next best in the betting is Espaaniyah and Blazing Miss at $15 but Bowman doesn't think it's a race between two. "There's two clear top picks but there will be something that jumps out of the ground," he said. "I just want to put my horse where he's comfortable so he can be in the best possible spot to win the race." The two-year-olds in the $2 million Inglis Millennium will be the highlight at Warwick Farm on Saturday, but the three-year-olds will also feature in the $1 million Inglis Sprint. Last year's Golden Slipper winner Estijaab opened the $3.50 favourite, but there has been immediate support for Fiesta, who has tightened from $4.50 to $3.50.